Jumpstart your solar power project with ROI Solar today! We are the best in the industry- providing you with the most advanced solar technology at a very competitive price. ROI Solar will help you get started with your project from onsite assessment (load analysis and energy forecasting) with free quotation to installation, down to maintenance of your solar power system backed by a 25-year warranty. We got it all covered. Installation is as easy as 1, 2, 3! And we guarantee an optimal return on your investment while you enjoy cleaner and more affordable electricity. ROI Solar is also an exclusive distributor of NEP Products. 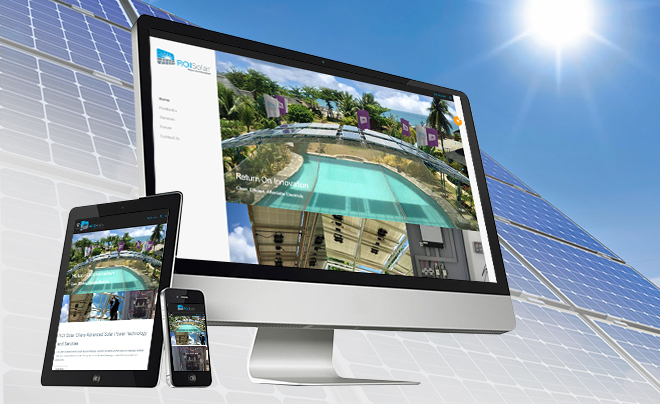 ROI Solar, a global leader in solar power technology, launches its official website today to continually promote clean and sustainable environment through economically sensible energy conservation equipment and applications.